Business cards are an interesting proposition. I’m a director of three separate companies. Does that therefore mean (on paper) that I can get three cards? And then churn (I’m not really into churning – have had my Lloyds and BA for over five years; I go for spend)? Yes you get the card, no you don’t get the bonus. The MR account is PERSONAL. If you already have an MR account you won’t get the bonus. If you’ve not had a personal MR account for 6 months you’ll get the bonus on your first SME card but not the 2nd or 3rd. Currently on SPG card which I will cancel next month. I was planning to go on Amex gold and BA Amex in May this year when my 6 months is up. Now have to wait until Nov 2020 – 18 months + 6 I’ve waited already – to go back on Gold and BA. But would need to wait to April 2021 I wanted to do 3 cards (gold, Ba and spg)? No, you need to wait until April 2021 to get a Gold, assuming you cancel SPG next month. Correct for BAPP (I assume you meant BAPP) and Gold. Wrong for free BA – you need to wait until April 2021 for that. You also couldn’t get free BA and Starwood in April 2021, only one of them. Can I check I am correct in my thinking? My wife and I both currently hold platinum and SPG cards. I have the free BA card. Additionally I have a 241 voucher expiring in May 2020 which I earnt from a BAPP. Wife needs to cancel platinum anyway next month to avoid the annual charge. She has never held a BA card. We are both self employed as sole traders. Wife cancels platinum, in 6 months time I can refer her for gold business card and I get the referral points, she gets the sign up bonus. As she has never held the BA card, I can refer her at any point for the BAPP and also get the referral bonus and she gets the sign up bonus. In order for me to get a sign up bonus I have to cancel platinum, wait 6 months and then sign up for gold business card. Why not, in six months time, refer her instead for the platinum business? I know the spend target is much higher, but after the application she can issue you a supp. card (might get you her 5k points; I don’t know if that works with business cards) and you can spend to help her hit the target. Vice versa if you’re canelling your personal platinum and getting a business card. Anyone thinking of jumping to the virgin card may want to hold out for them to boost the initial bonus like they’ve done on a couple of occasions in the past – hope that helps! Absolutely. I signed up in the last quarter of 2018 when Rob highlighted the offer. Received 25k instead of 15k. Something tells me that your current good relationship with American Express UK is unfortunately going to crash and burn if you are all in seriousness suggesting that their current customers give up all Amex spend for two years just so that they can earn more sign up bonuses only to then do the same thing all over again. Result is they won’t be doing very much spending on Amex at all in a five year window, which Amex is simply not going to like. So if I were them i would increase the bonus exclusion period for previous card holders to five years to stop this very thing from happening. You saw how harshly they acted against Curve when they didn’t like the high value of transactions coming in through that route so want makes you think they won’t act in the same tough manner towards your readers if they continue to abuse the intent of offering the signup bonuses by Amex and its business partners in the highly systematic manner that you are now proposing???? They stopped Curve because a responsible bank or credit provider can’t allow credit cards to be paid off with different credit cards. Which you couldn’t do with your Amex balance. Shoestring surely you aren’t implying that the many banks who issue Visa credit and debit cards aren’t responsible? Although must say that I had been considering clearing part of my significant MBNA loan balance with my Lloyds Avios Mastercard via Curve. Good Morning Julian…I was waiting for you to pop up this morning after all the comments you received over the last couple of days ! It’s all best treated as a hobby Julian- as Rob pointed out at outset………. 🙂 . I just got an email from a reader who spends £165k PER MONTH on cards and wanted advice. The average HFP deposit into the Virgin Money savings account is £45,000. We have the highest opening balance of any Nutmeg affiliate in the UK. Emyr is just about to hit £1m of luxury hotel bookings for our readers. Companies work with us because the – generally silent – bulk of our 30,000 daily readers are not poor. That will not change. Amex will be delighted if I keep sending them the £165k per month types. We have this discussion on a regular basis with companies. We had a complaint this week from someone whose product we had said was ‘better than the competition but not perfect’. They had wanted us to declare it the greatest thing ever, period, and formally complained. People read HFP because we are generally balanced on the pros and cons of your card / airline / hotel etc. Companies cannot have it both ways. We only have the audience these companies want to reach because of our editorial approach. I would think most people who spend 165k a month on cards would probably manage to find their own way to Amex without being sent there by anyone. Maybe he/she emails people about how to dress himself/herself also though so who knows. In my experience people spending those sums by card are buying Google or Facebook ads. Has Amex offered him a Centurion card yet? He has a point though, just wait till the referral bonuses get pulled / reduced too due to abuse. When sites promote taking the p**s it’s only a matter of time before it goes away. Sure it’s in the T&Cs that you can do it, but I can walk out of McDonalds with 100 ketchups and an armful of napkins without paying for them but sooner or later they are going to catch on and put a stop to it. Totally different, that’s blatant stealing. Stealing, how’s that then? They are complimentary. I mean if they wanted to restrict them, they would just put them behind the counter right? They already have at our local McD’s – sauces are in large bottles and distributed in thimble sized containers on request! Maybe he could do a site on ‘maximing’ Tesco point offers due to all the recent offers that can be exploited to acquire Avios, oh wait…. why did 99% of those Tesco offers disappear again? That’s an interesting overlap. So to get the Business Plat bonus, 6 months will have needed to have elapsed from when I last owned a MR card eg Personal Plat. Got it. Is it one card per business or per company officer ? Double check the terms & conditions, but I think you have it right. No matter what anybody on the internet tells you, always perform your own personal due diligence, to ensure you don’t get stung courtesy of somebody else’s mistake. The business cards are still based on the individual, i.e. MR account in your name, application will show up on your personal credit files etc. Just an FYI to anyone else – the virtual gift-cards are actually clickable from the order email to via a third party site that provided the gift cards. So if you were to keep the BAPP and have no other Amex card for 24 months. To clarify I could still receive the sign up for the Platnium card and the spg card also? Yes but you have to get the SPG first. Have ANY amex blocks you from the SPG bonus but the the BAPP and Platinum are only blocked by the 24 month rule. So you can get the BAPP and Plat bonuses if even if you have another amex. To clarify you can get the BAPP and Plat bonuses even if you have another Amex as long as that Amex is not one of the same family. Okay, thank you! For us it makes sense to keep the BAPP, swallow the fee to be able to earn Avios all year round at a decent level. Then every 2 years, I get platinum and spg then refer my partner for all 3. Slower process but works just as well. 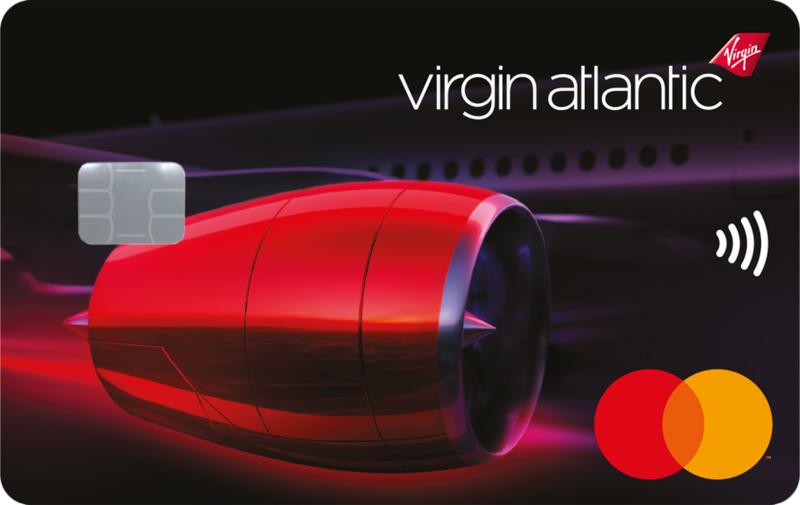 Non-Amex spend on the virgin+ card. Good plan. You will be able to get the Platinum bonus every two years but not the SPG unfortunately. However if your partner doesn’t have an Amex in their name then refer to SPG, then Plat/BAPP and they will be able to get all three bonuses. Good luck. No. You can get Plat but not SPG. I have the BAPP and just got Plat. In either rules scenario I would’ve got the bonus. Only now I’m blocked from getting the bonus on the SPG/Nectar. Oh well. My strategy now is to trigger the 241 on the BAPP, then either cancel it or downgrade it to the BA blue for a partial refund. Then move to Gold. I understand I won’t be getting a sign-up bonus but I never would have in the old world either but I can still focus on 10k MR @£15k spend. My question is is it worth it for me to cancel my BAPP instead of downgrading? I will them be eligible for another bonus in 24 months. Meanwhile I’ll have Plat and its benefits, be building up to a Gold bonus and I can also earn point on my HSBC WE. I should shouldn’t I? Be interesting to see how BA reacts they must of been selling large quantities of avios to Amex, which is undoubtedly going to drop going forward. By how much isn’t anyone’s guess, but surely a significant amount. Aside from the guaranteed redemption seats per flight they have complete control over what they add to the redemption inventory, so I don’t see it having much impact on how many seats they sell for cash per flight. 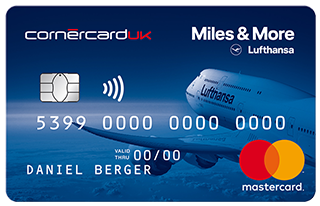 What IS relevant is how BA, Nectar and Marriott feel about restrictions on who can get their cards. You can only assume Amex is walking away from these deals. That would reduce amex’s offering by a large margin to a big group of people though… who would pick up the deal/partnerships? BA wants full wallet control. If you have a Virgin Mastercard alongside your BA Amex it isn’t helping BA at all. How about a global type ‘One World’ Visa/Mastercard card, issued locally, but also based on you current tier level. You would think that would logically lead to more MR redemption partners (who could turn down the free cash?) or fairer reward valuation into Marriott from MR when SPG is removed. 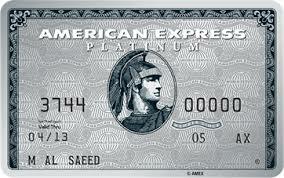 I rather imagine Amex will complement this change with targeted offers to existing cardmembers. I’m sure they haven’t lost interest in upselling, and currently they have no clear strategy for upselling the Platinum card anyway, since the Gold credit card is not eligible for the upgrade offer. I’d be astonished if they don’t have some plan in the works… If it’s primarily targeted offers, though, then you can be pretty sure those offers won’t be coming the way of the heavy churners. Does this also apply if you are a second card holder? My husband is an additional on mine but he has not had one of his own so could he open his own? My BA card and gold card are still open. OK. So I have the BAPP and Virgin+. My Wife has a Virgin+ too. I’ve not had any other amex in the last few years and I have a business so what do you guys think my best plan of attack is? Keep the Virgin+. You can get the personal Plat bonus NOW. If you cancel your BAPP you can get a bonus in 2 years. Or you could get Biz Plat and that’s chrunable every 6 months as long as you don’t get a personal Plat or Gold. Gold Business or Plat Business, and then personal Gold or Plat. Must be in that order. Why would you get a personal? Aren’t you blocked from having a sign up bonus for 24 months? Keep the Virgin, lose the wife. I assume you would still receive a referral bonus if you refer from a personal card to business card? Example 18000 points referring from a personal plat. Does the business card have opportunities for further referrals as the personal card – example 5 x 18000 points for 5 referrals? Can you use the card for normal spending or is the card less accepted as its a business card? I tend to just get the 22,000 gold card bonus every year. For those of us in that group, surely it would make more sense just to refer two other people, 9,000 points a pop, cancel the card and vice versa every year – and then you still get 18,000 points, which is close enough? My husband owns a small business so can apply for the Amex Gold Bus card. However, he has a NORMAL amex gold credit card. Will he have to have NOT had this for 6 months before he would be entitled to a spend bonus? ok thanks. He has lounge club card free with the gold card which we intend to use at Gatwick in June. I presume that if he cancels Gold card now the lounge club pass also cancels despite not having used it yet? Yes lounge club is unusable. If holding the normal one does not impact on the bonus for the Bus one could he refer himself for a referal bonus? Or could I refer him from my BAPP card to get a bonus? Search for the article on the gold business card on headforpoints for more info but technically of you have held ANY membership rewards card within the past 6 months (personal or business) then you will NOT get the bonus on the gold business card. Some people have been lucky and got it anyway but don’t bet on that, especially with the new churning rules. Great articles Rob. Just one word of warning which I may have missed. When you cancel your BA Amex they remind you that you must pay for the taxes associated with using a 241 voucher using the same card you earned it with. I know this is not the case in reality but something they may tighten up on.